This article discusses the relationship between postpartum depression and substance use disorders. The information herein is designed to only be used for educational purposes only and cannot be used to form any type of diagnostic impression or treatment program. Anyone concerned that they, or someone else, have a psychological/psychiatric disorder should consult with a licensed mental health care professional. According to the book Postpartum Depression: Causes and Consequences, postpartum depression can affect women who have given childbirth between two weeks and the year following the birth of their child. The American Psychiatric Association (APA) includes postpartum depression in their list of depressive disorders; however, it is formally diagnosed as a subtype of major depression. According to APA, the symptoms of postpartum depression are similar to the symptoms of major depressive disorder and also include other symptoms, such as not wanting to care for one’s child, anger directed at one’s partner or child, and resentment about becoming pregnant. An individual who has postpartum depression would formally be diagnosed with a major depressive disorder with peripartum onset, according to APA diagnostic criteria. In order to receive a formal diagnosis of major depressive disorder, an individual must consistently demonstrate five or more specific diagnostic criteria (symptoms/signs) for a period of at least two weeks. One of the five symptoms must include depressed mood and/or a significant loss of one’s interests (or an inability to experience pleasure). As with all APA diagnostic criteria, the symptoms displayed cannot be due to the use of drugs or be better explained by the effects of a medical condition. with psychotic features, they are far more likely to develop similar experiences following subsequent pregnancies and deliveries. This complicates family-planning and long-term treatment implications for women wishing to have additional children. When an individual is diagnosed with a psychological/psychiatric disorder and a co-occurring substance use disorder, the phrase co-occurring disorders is commonly used to describe the situation. According to APA, having a diagnosis of depression is associated with the development of co-occurring substance use disorders by means of a number of different processes. This is no different for women who are diagnosed with postpartum depression. 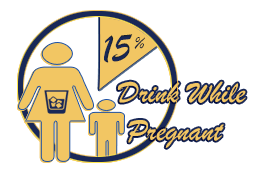 The Substance Abuse and Mental Health Services Administration (SAMHSA) has reported that nearly 15 percent of women who are less than a year from the birth of their child and had postpartum depression engaged in binge drinking, whereas nearly 9 percent of this group reporting abusing other drugs. These prevalence rates are higher than women who did not give birth or who did give birth but did not have postpartum depression. There is still a lack of research that examines the overall causal relationship between substance use disorders and postpartum depression; however, it is well known that the combination of depression and substance abuse can lead to an increased rate of neglect and child abuse in these situations. These factors make the importance of recognizing these syndromes in women who have given birth and treating them even more crucial. The use of an integrated treatment protocol is strongly suggested in the treatment of individuals who suffer from postpartum depression and substance use disorders. Integrated treatment is an approach that utilizes a multidisciplinary team of many different mental health professionals and other treatment specialists to address every specific issue regarding the particular case and to help the individual become as functional and independent as possible.